MAXIM: He who fails to assert his rights has none. Recently, I came across one of the most comprehensive articles about 5G and the problems it will create for humankind (and all of creation) if and/or when 5G is rolled out across nations around the globe. “5G” Wireless Technology Should be Banned! Wireless Radiation Violates Human Rights and the Nuremburg [sic] Code of Ethics! Today, in 2017, ISEDC needs to be aware of the declassified 1976 US Defense Intelligence Agency document , which exposes what prompted – and continues to cause – today’s unparalleled corruption: 1) The US military’s determination to remain the most powerful (i.e., technologically advanced) in the world; and, 2) technology-based industries, such as electric power generation and wireless and telecommunications are encouraged to explore and fully exploit new, commercial applications of wireless technology. By doing so, those same industries, on which the US Defense Industry depends, ensure that the US military remains the most powerful on earth! Tragically for all Canadians, Health Canada and what was then Industry Canada saw fit in the 1970s to align themselves with the USA and, in so doing, sacrificed forever the health and safety of the people of Canada! Fifth Generation (“5G”) technology, if implemented nationally, would further irradiate the entire population of Canada – without their knowledge, comprehension of what is being done to them, or their consent! This would be yet another, even more serious violation of the Nuremburg [sic] Code and the most heinous crime imaginable! While the current and all three previous generations of microwave technology also violate the Nuremburg [sic] Code, informed people fear that “5G” would prove to be mankind’s Armageddon – – – of Industry’s own selfish creation! Governments of Canada are elected, in part, to protect the health, safety and well-being of its people. Yet, Health Canada (like the USA): a) refuses to recognize/admit that there are harmful health and biological non-thermal effects caused by RF EMF radiation; b) refuses to admit that today’s wireless RF products / devices / toys all emit pulsed non-thermal radiation; c) refuses to acknowledge/admit that ELF (60 Hz) magnetic fields are harmful to people and other life forms; d) refuses to recognize/admit that there is such a condition known as “EHS” (electro-hypersensitivity), which affects at least 3% of the world’s entire population; and, e) has never once seen fit to make it mandatory for Industry to first prove – by qualified, non-industry scientists, replicating real-life applications – that the radiation emitted by wireless products / devices / toys is safe! Nor has Health Canada ever imposed the Precautionary Principle – even though the WHO (World Health Organization) itself stated – in 2003 – that there was sufficient evidence to justify its application (for both ELF and RF EMFs)! Nor did Health Canada ever attempt to halt in any way the provinces, who each saw fit to mandate their electric utilities to roll-out ‘smart’ meters – even when the WHO subsequently classified RF EMFs a Class 2B or ‘Possible’ carcinogen, in 2011! Governments’ total disregard for the health and safety of the public has resulted in: 1) a growing host of disease epidemics, such as autism, ADHD, cancers, Alzheimer’s Disease, Parkinson’s Disease, ALS, and other diseases of the brain, central nervous system and immune system, which most people had not heard of before wireless technology appeared. (These disease epidemics are now common in every jurisdiction on earth that has adopted wireless technology! ); 2) homes / dwellings are now far more susceptible to break-ins, intrusions, and the threat of electrical fires – thanks to provincially-mandated ‘smart’ meters, which are unbelievably intrusive, invasive, hackable, fire-prone, and very expensive; and, 3) Canada’s National Security is now at greater risk than at any previous time in our history, thanks to Government’s irresponsible decision to incorporate ‘smart’ meters in Canada’s national power grid! On July 25, 2017, CBC TV released the results of a 38-year study (1973-2011) showing that sperm production is down more than 50%! Doctors are very concerned and point to some potential causes. Inconceivably, not a single doctor mentioned ELF or RF EMF radiation as being possible causes! Such is the power of mainstream new media, which controls what people are allowed to see on TV, hear on the radio, or read in newspapers! In conclusion, the world’s only super power, the USA, is dependent on the American communications and electronics industry to ensure that it’s military has the most advanced communications, radar, weapons, and electronic warfare systems of any nation in the world. Also, since 1955, the US military and its allies – including Canada – have publicly recognized only the thermal effects of RF-MW radiation! Yet Industry has exploited wireless technology – as it is now doing with “5G” technology – even though US military scientists, US non-industry scientists, Eastern-bloc scientists, and other scientists around the world have known for decades that there are hazardous non-thermal effects to microwave frequency radiation! Prior to mobile technology, few people had heard of autism, ADHD, Alzheimer’s Disease, Parkinson’s Disease, brain tumors, leukemia and other cancers, etc., which today plague most countries of the world! Scientists also believe that the overall total or cumulative amount of ‘electro-smog’ (emitted by all wireless products / devices / toys) that now saturates planet earth’s environment literally threatens life on earth, as we know it! It is a tragedy that EMF radiation is both invisible and indiscernible, because it is literally everywhere today, and no person and no living thing can escape it! It is imperative for ISEDC to now heed that most of the EMF scientists in the world have called on ALL governments to place a moratorium on “5G” technology! 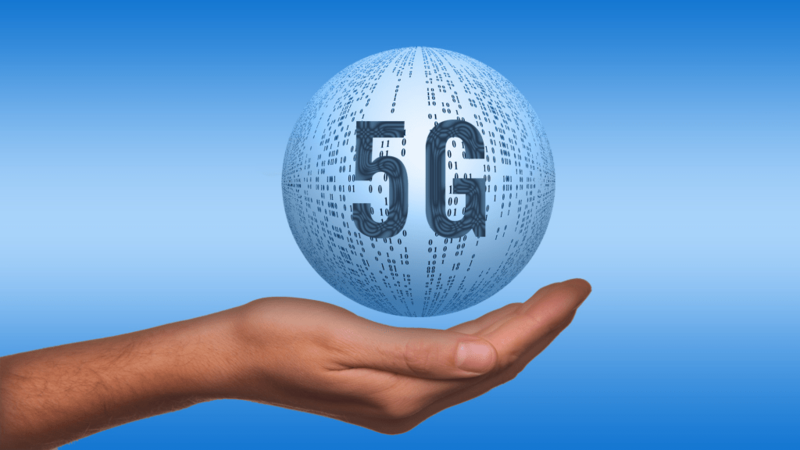 Were ISEDC to unleash on a still largely unsuspecting, defenseless public the, as yet unknown, hazards of “5G” technology – on top of what the Canadian population is already enduring – would be obscene beyond belief! Those doing so would be guilty of committing the most heinously cruel crime possible – knowingly and deliberately irradiating an entire national population – without the people’s knowledge, understanding or consent! Absolutely unimaginable! Yet our national leaders continue to boast to the world that Canada is one of the world’s model democracies! As for Canada’s National Security, nothing is more exposed, more vulnerable or more indefensible than a wireless radio system! Readers should take particular note of what Mr. Flynn says about Canada’s following the USA; disregard for the Nuremberg Code; the industrial-military complex; and EMF/RF radiation and non-thermal adverse health effects. 5G and higher have not been tested for human safety. Before consumers become so enamored of higher speed Internet access, maybe we had better take a step back, do our research and really learn what the inordinate use of smart gadgets and appliances will result in as health consequences adversely affecting all humans, wildlife and plant life. Before any rollouts of 5G, consumers should be demanding the scientific research proving safety, not just microwave technology consensus science where guys and gals get together and jawbone which science they want to accept and/or belief as factual, something that industry’s professional associations are keen to do and promote. Whereas factually and in scientific reality, that industry’s funded research found 32% non-thermal radiation wave adverse effects, which ICNIRP states it will not accept. In my opinion as a researcher, that’s tantamount to scientific fraud. Author, Radio Host, Fact Tracker, Reality Generator and Editor Doreen Agostino synthesizes facts to transform limitations into remedy and freedom. This entry was posted in Awakening humans, Energy, Frequency, Vibration, Media malfeasance, Mind control, Public Notice and tagged Every choice. Bookmark the permalink.